Q: What is an IRB? A: IRB is the abbreviation for Institutional Review Board. IRBs review all research and projects (e.g., evidence-based practice/quality improvement projects) that directly or indirectly involve human participants and determine institutional policy governing the oversight of such research and projects. IRBs have the authority to review, approve, disapprove, or require modifications to protocols for research and projects involving human participants. The primary role of an IRB is to ensure protection of human participants in research and projects. Q: When am I required to submit a proposal involving research with human participants to the ACIRB? A: All research and projects that will involve human participants must be submitted to the ACIRB for review and approval prior to beginning the study or project. This includes proposed research or projects involving existing data and previously collected human fluid and tissue samples, as well as any advertising or other recruitment procedures. Q: I am just doing a simple survey. Do I need to submit my proposal to the IRB? A: Yes. Allen College policy requires that all studies and projects must be reviewed and approved by the ACIRB. Written approval from the ACIRB (typically in the form of an email) must be in place before any interventions or interactions with human participants begin, including recruitment. Q: I am not collecting any identifying information in my human participant research/project. Do I need to submit my proposal to the ACIRB for review? A: Yes. Federal regulations and Allen College policy require that all research or projects involving interaction or intervention with human participants, whether or not identifying information is being collected, must be submitted for review prior to beginning the project or study. Q: Do research studies and projects conducted by Allen College students need ACIRB approval? A: Yes. Projects conducted by Allen College undergraduate, graduate, and doctoral students need ACIRB approval, unless the project is done in the classroom setting for the purpose of teaching research methods. However, this means that at no point during or after the conclusion of the course can the results or the data be published, presented, or used for other research purposes. Therefore, students should discuss these criteria with their instructor or faculty advisor. Q: What are 'principal investigators' and 'key personnel', and who needs to complete human subjects protections training? A: Principal investigators are the people in charge of a study or project. Typically, there is one principal investigator, but there can be more than one. Key personnel are those people who are necessary to conduct a project or study. Key personnel include the principal investigator(s), co-investigators, supervising faculty members (for student principal investigators), and any other individuals who will have contact with the participants or the participants' data (e.g., interviewers, transcribers, coders, etc.). Q: Can principal investigators be subjects in their own studies? Does self-experimentation require ACIRB review? A: Yes, principal investigators can be subjects in their own studies. However, this is still considered a project or a study involving human participants and would generally require the same review and approval as research for which other people are recruited as subjects. Though investigator self-experimentation may not raise the conventional ethical concerns outlined in the Belmont Report, all projects with human participants should undergo ethical review to assure the safety of people involved and the integrity of the projects or studies at Allen College or UnityPoint Health — Allen Hospital. While principal investigators may be aware of the risks of self-experimentation, they may also be more willing to accept risks that are ill-advised. Application for review by the ACIRB allows a neutral third party to raise concerns and/or propose measures to promote the welfare of principal investigator(s) and co-investigators. Q: What is meant by 'exempt' protocol? What are requirements? A: Under certain circumstances, human participant research activities may be granted exempt status. Technically, exemption means that all project/study activities fall under one or more of the exemption categories specified by the federal regulations. The criteria and processes for determining if your project/study meets exempt status is a function of the ACIRB. Criteria for exempt status are described in §46.104 "Exempt research" of the Code of Federal Regulations. The significance of exempt status is that the research or project activity does not require ongoing monitoring by the IRB. Exempt status does not, however, mean that your project or study does not need review by the ACIRB, nor does it lessen the ethical obligations to subjects as articulated in the Belmont Report and in disciplinary codes of professional conduct. Thus, depending on the circumstances, investigators conducting exempt studies may still need to make provisions to obtain informed consent, protect confidentiality, minimize risks, and address problems or complaints. To have a project or study recognized as exempt, investigators will need to submit all requested documents and study/project materials to the ACIRB. The ACIRB will evaluate these protocols (as they do with all protocols) and will notify investigators if their projects are eligible for exempt status. The ACIRB has the authority to determine level of review necessary for each protocol submitted for review. Please note that for each change that is proposed or occurs during the execution of the research activity, the principal investigator may need to consult with the ACIRB to determine if the change affects the eligibility of the project or research activity to continue to be exempt from IRB monitoring. Q: If my project or study qualifies as exempt, does this mean that I don't have to submit a protocol for review? A: No. The federal regulations do make certain categories of research exempt from IRB review; however, Allen College policy does not allow investigators to self-exempt their human participant projects. Instead, determining if a project is exempt from IRB review is an administrative review process handled by the ACIRB staff. Q: I will be collaborating with another institution (e.g., conducting my project or study at a facility other than Allen College). Do I need to submit to the ACIRB and to the other institution's IRB? Faculty and staff of Allen College or UnityPoint Health — Allen Hospital and its affiliated settings who will be conducting research or projects in settings other than Allen College or UnityPoint Health — Allen Hospital and its affiliated settings must obtain approval from the IRB affiliated with the study or project setting. If the setting has not affiliated IRB or equivalent committee, ACIRB can provide the review and any necessary oversight. Q: I want to conduct a study that involves the use of deception. Is this allowed? What do I need to consider? A: The use of deception in research is allowed by both the federal regulations and by Allen College. However, because at some level the use of deception in research violates participants' trust in the principal investigator, this method should be considered carefully before implementing it. Deliberate deception of participants may only occur in situations where withholding information about the nature of the study or project is necessary to ensure valid results, and should never be used to get participants to do something they would not do if the information were fully disclosed to them. Principal investigators will need to provide specific information to the ACIRB when submitting a project that involves deception. Participants should be informed about the deception as soon as possible, preferably at the conclusion of an individual's participation (but no later than at the conclusion of the data collection) to permit participants to withdraw their data. The nature of the deception and rationale should be comprehensively described in the application materials submitted to the ACIRB for review. Documentation should include clearly convey absence of equally effective non-deceptive techniques as justification for the deception. Q: When may I begin data collection for my study or project? A: You must receive written approval from the ACIRB before beginning participant recruitment, data collection, or data analysis. You will be notified via email when your project has received ACIRB approval. Q: How long will it take for me to obtain approval to do my project? A: The length of the approval process depends on the nature of the project and the characteristics of the intended participants. Evidence-based practice/quality improvement projects undergo privacy and safety review and may be completed within 7 business days of submission. Research that involves only minimal risk may be eligible for exempt or expedited review, which are less time consuming than a full board review. Research that involves greater than minimal risk to participants will require full board for review. Refer to the Timeline for Reviews webpage for specific information about the length of the ACIRB approval process. Q: Can the ACIRB approve a project "retroactively"? A: No. There is no provision in the federal regulations that allow for IRB approval of research that has already been conducted. If data were collected for purposes that the ACIRB determines to be non-research (e.g., program evaluations for library or educational programs not initially intended to be used for research), ACIRB approval can be sought for the data analysis going forward. Q: Who can I talk to if I have a question about my project? A: Students should first consult their study or project advisor. If the advisor is unable to answer questions, then a request for assistance should be submitted to ACIRB@AllenCollege.edu. 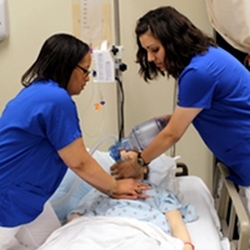 Allen College faculty and staff, associated of UnityPoint Health — Allen Hospital and its affiliated settings, and principal investigators not affiliated with Allen College or UnityPoint Health — Allen Hospital may contact ACIRB@AllenCollege.edu directly. Q: I don't know where to start to write a protocol. What needs to be included? A: Every new protocol submitted to the ACIRB must include completed and signed forms, plus any additional documents that will be used in the project. Refer to ACIRB Procedure for Submitting webpage for guidance. Q: Are there 'sample' protocol submissions available for us to look at? A: Unfortunately, there are no samples available. If you are a student, your project advisor should be able to answer questions about the IRB review process and to assist you in the preparation of your protocol for submission to the ACIRB. There is also information about the preparation and submission of your project on the ACIRB Procedure for Submitting webpae. Q: What does the ACIRB look for in an application? Are there standard criteria for evaluation? A:The ACIRB evaluates every research protocol according to the ethical principles described in the Belmont Report. This means that the ACIRB members consider whether the risks and benefits of a study are acceptable and are appropriately managed, and whether individuals being asked to participate are adequately informed about the project and its possible risks. Considered another way, investigators could look at their plans from the point of view of a subject, or an observer concerned about responsible research. Who are the subjects and how are they recruited? Could they be lured or coerced into participating? Is it through an institution that may have responsibilities toward the (e.g., a school or a hospital) and should be consulted? Do they understand, in advance, what they will agree to participate in and will they give their consent willingly? What will they actually do, and what is done to them, during the project? Is it possible that the experience might be injurious, painful, uncomfortable, needlessly boring, a waste of their time, embarrassing, offensive, or otherwise stressful? Might there be long-term consequences? Could the subject be endangered, compromised, or embarrassed if information collected was, in some way, made available to others? There are many possible considerations, but they should not be difficult to understand if one assumes the subject's perspective. The ACIRB's role is to look at the project from these perspectives and to ensure that proper precautions are taken to protect individuals when they agree to participate. As such, applications for review by the ACIRB should be complete and all necessary documentation should be provided with the submission. Please use the ACIRB Application Checklist to verify that you have included all necessary documentation, and include that checklist with your submission. Q: Can I get IRB approval for just developing study materials if I am not ready to recruit participants, yet? A: Yes. This requires an administrative approval granted by the ACIRB so that the Principal Investigator can develop research design methods and materials. This type of approval can be useful if the actual human interaction portion of the project is expected to occur later, but the investigator needs to provide evidence that the project scope and intent has been approved by the ACIRB. Under this type of approval, no human participants may be involved in any activities defined as research until the entire project, including data collection procedures and study instruments, recruitment materials, and informed consent documents have been reviewed and approved by the ACIRB. Once the project and study instruments are developed and finalized, submit a completed ACIRB Application for Review along with the study instruments and additional required documents to the ACIRB for review and approval. Q: What does "informed consent" mean? What are its essential components? A: Fully informing participants of the risks, benefits, and procedures involved in a study is a standard requirement in research or projects involving human participants. Ethically and legally, consent is not considered to be "informed" unless the investigator discloses all the facts, risks, and discomforts that might be expected to influence an individual's decision to willingly participate in a research protocol. This applies to ALL types of research including surveys, interviews, and observations in which participants are identified, and intervention research, such as diet, drug, and exercise studies. Q: Are there different types of informed consent? If so, what are they? A: Yes, there are different types of informed consent. The signed informed consent is the standard expectation in research with human participants. This is in the form of a document with the elements of informed consent. This form is signed and dated by the participant and kept as a record by the principal investigator. In studies where children (individuals under the age of 18) will be asked to participate, assent of the child and parental permission are standard requirements. One is a waiver of using a signed consent form. This waiver must be granted by the ACIRB. An example of providing standard informed consent information without signatures would be to provide an information sheet that contains the same information, but that does not require a signature by the potential participant. Another is a waiver of written consent. Again, this waiver must be granted by the ACIRB. An example of a waiver of written consent (with no printed information given to the potential participant) would be to use oral consent procedures. A third is a waiver of some or all the elements of informed consent (e.g., in research that involves deception). Again, this waiver must be granted by the ACIRB. Q: What do the terms "consent" and "assent" mean? Aren't they the same thing? A: Both consent and assent involve informing potential participants about the research and its risks and benefits and documenting their understanding and agreement to participate. Consent is used with adult individuals to participate in a project. Assent is used with children (individuals under the age of 18) to participate in a project. Assent must be accompanied by permission from a parent or legal guardian. Q: Do I always have to obtain the informed consent of research or project participants? A: In general, yes, but there are some limited exceptions. The ACIRB is responsible for ensuring that basic ethical principles are followed. The expectation that the informed consent of study or project participants be obtained is based on the Belmont principle of respect for persons, and is regarded as extremely important in maintaining ethical standards during projects or studies. The ACIRB has the authority to waive some or all the federal requirements for informed consent in certain extenuating circumstances. A request for waiver of informed consent must be specifically justified by the principal investigator in the proposal to the ACIRB. Please note that time constraints, inconvenience, or expense are not justifiable reasons for requesting or being awarded a waiver from obtaining written informed consent. Q: What is signed informed consent? A: Signed informed consent allows prospective participants to document their agreement to take part in research or project activities by signing and dating the consent document. This is the most common method of obtaining consent. Q: Do participants always have to sign the consent document? A: Not always. In certain situations, the ACIRB can waive the requirement that you obtain the participant's signature on the consent form. Please see the Request for Waiver section of the ACIRB Application for PHI use form, found on the ACIRB website.